Well, think of any birthday you’ve been to… Has there always been a cake? What about anniversaries? Weddings? Bar mitzvahs. Quinceaneras! Cakes are a staple at any celebration or party. And cake decorating has made my life so much more colorful! Which is why cake decorating as a business can be so great for you, too! Starting a cake decorating business is a great way to turn a hobby into a bit of extra wiggle room for the bankbook. It’s fun and it never gets boring. Each order is different, and people are always so happy and excited when they see the finished product! So, if you have a passion for baking with a penchant for decorating, sit back as I let you in on how to start a cake decorating business in 12 steps! It’s time to turn your hobby into a full-fledged business! There are a lot of misconceptions about running a cake business. People think it’s just a hobby, and you can bake or decorate a two tier wedding or birthday cake in an hour. Well, I don’t know about you, but I sure can’t. While this may start out as a hobby for you, it’s definitely got the potential to become a full-fledged business. To get there, you’d have to really understand how the industry works. Passion and a talent for artistic culinary creations are a must if you’re starting a cake decorating business, but it’s not enough. You have to have the organizational and business acumen for success. Fortunately, these can be taught. Like any business, cake decorating takes hard work and long hours. But you can make those hours go by a little bit faster by learning the right way to run a cake decorating business. And the best way to do that is to go work for a cake decorator! Now, I’m not saying go take a full-time job working 9-5 for some corporate store. If you have a friend who’s been doing this for years, that’s a great place to start. Or go talk to the owner of your local bakery and ask for advice or suggestions. Look to understand how a cake decorating business can grow with more ovens and more help, and how that plays into your own vision for starting a cake decorating business. It doesn’t need to be for long, but you have to understand what starting your business looks like. Learn secrets, tips, and techniques to make your business as efficient (and delicious) as possible! Make sure you learn the requirements of running a cake decorating business from a legal point of view. What permits do you need? Many states require a food handler’s license. Is yours one of them? On top of that, you should also talk to others within the event industry. Learn about how they pick their cakes, what they look for, and how to set yourself up in the best position to sell your services. Remember, you’re making a decision as to if you can balance your business and family life, so make sure you’re as informed as possible before doing so. Why do cake decorating businesses fail? Truthfully, it’s for the same reason as any other business fails; lack of a plan. Fortunately, that’s what I’m here for. And by the time you’re done reading this article, you’ll have an idea of everything you need to focus on to bring your cake decorating business to life. If you’ve already done your research and have a better understanding of how the industry works, then it’s time to focus on your plan. When and where will you get your permits and licenses? Do you need a store or will you work from home? Or will you start from home and scale up? If you’re not sure where to start, Startup Jungle can help you create an expertly organized and professional business plan for your cake decorating business. If you don’t think you need a business plan, you think wrong. It’s critical to your success and how a cake decorating business succeeds. How much money does a cake decorating business make? Well, according to the Small Business Development center, an average cake decorating business will generate about $24,000-$60,000 a year. However, it may take a few years to grow your business to that point. But once you do, you’re really only limited by how many customers you can bring in. For example, there are about 2.5 million weddings in the U.S. every year. That breaks down to 6,850 weddings every day. And with a population of 320 million people in America, that’s 320 million birthdays in this country every year. 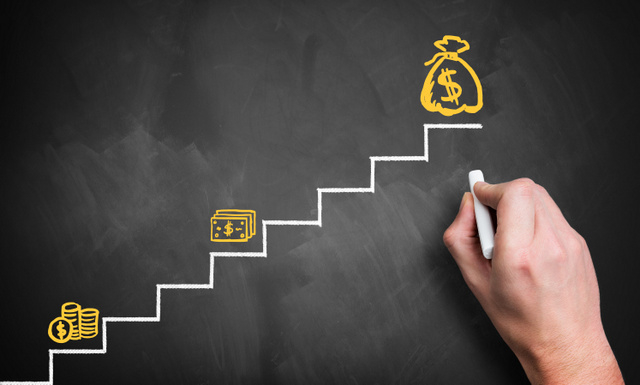 The earning potential is there for you, it’s simply a matter of figuring out your costs and your prices. 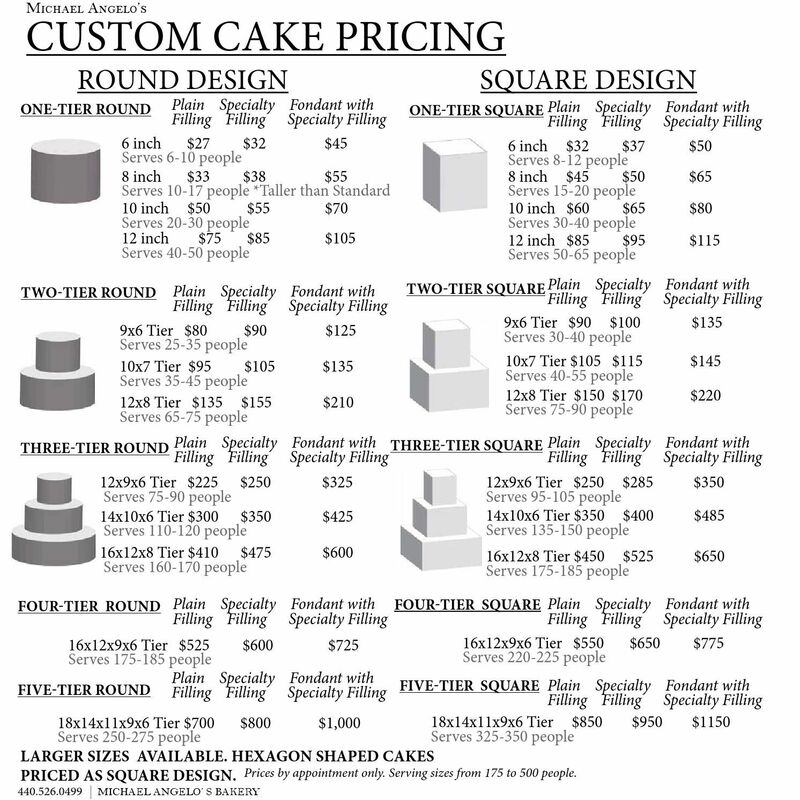 Cake prices can be as much or as little as you want them to be, but remember that you’re creating a custom work of art, and your prices should reflect that. Figure out your earning potential. Forecast your sales and subtract your costs. Then, you can adjust accordingly by adding or subtracting sales estimates. For example, if you pick up a contract for a recurring monthly event, then you know every month you’ll have a little more profit from the cakes they order. In return, they may get a discount each month since they’ve locked into a contract. But figure out your pricing structure ahead of time and stick to it. Unsure answers make customers think you’re not sure of your prices and try to haggle with you. And that can really hurt your earning potential. How much does it cost to open a cake decorating business? Well, that depends on your business. If you’re wondering how to run a cake decorating business from home, then your costs will be lower than opening a bakery. You won’t have to rent space or equipment, but you may have remodeling costs depending on how your business grows. Your budget is a roadmap that tells you how much money you have available to spend on everything. It should include all your startup costs and recurring expenses. Having this will tell you how much money you have available to spend on marketing and how much money is profits which can be taken out of, or reinvested into, your business. Training: This can include recipe books or live classes, ranging from $20 – $200. Check YouTube for free how-to videos. Food handler’s license:Plan on a yearly cost of about$40-$90. Permits: Check with your city’s clerk of courts. These can cost about $100. Baking ingredients: If you’re running your business from home, you only need minimal ingredients and should budget $50-$100. Baking supplies: Unless you already have these, expect $150 to start. These include mostly reusable supplies like pans, oven mitts, whisks, baking sheets, piping bags, fondant cutters, etc. Packaging: Expect to spend $100 on packaging to start. Insurance: Plan on a yearly cost of about $150. This is assuming you want to have everything ready to go as soon as you start. You can lower that number by only buying what you need when you need it. There are also several things you can do for free to keep business costs down as your business grows. You can build your own website using some amazing free technology out there, though investing in a site professionally designed is always a good idea. You can also build and run your own Facebook page. And as far as equipment goes, you probably already have a lot of tins and trays you can re-purpose to your business, as well as beaters and your oven. But the best way to keep costs down is to have an efficient kitchen. The faster and more efficiently you can create your goods, the more you can make of them and the less time and money it costs you to move forward. Create a budget and stick with it to know how much money you have available to start your business and run it properly. As a new cake decorating business, you probably want to offer a little of everything. But while that sounds like a good idea, it’s in your best interest to focus on specific areas. If you have to buy supplies and ingredients to keep on hand so you can make one kind cake that “might” get ordered, that’s costing your business time and money. Having a little of everything. Having a wide range of offerings can make you an appealing option for a broad range of people wanting different things, but specializing in specific areas makes you an authority and lets you charge more for your services. A quality product builds a better reputation and income over time than saying yes to every request that comes in. Don’t hesitate to refer specialty requests you can’t handle to someone who does. That referral can often come back to you. Figure out your niche and stick to it. Is your niche fondant cakes? Or maybe you prefer working with Buttercream? You can even have a specialty gluten-free cake shop, which would attract quite a bit of business your way. Maybe it’s your cake decorating style, or your service, or maybe it’s your experience. Figure it out, write it down, and make it a point to have one of your cake creations that showcases your unique style and skill on display at your store for customers to see. Don’t be afraid to over deliver on customer service. Customers will appreciate the added options such as delivery or discounts with additional orders. Where should you open a cake decorating business? If you’re working from home then you don’t need to worry about a location. But if you’re starting a storefront bakery cake decorating business, then you’ll want to choose your location carefully. You’ll want to pick a location based on your customers. If you’re looking to specialize in cakes for children, then you’ll want to be in the suburbs around areas with lots of schools, meaning lots of children. Make sure your location fits your budget and your needs. Look for a well-lit area with lots of foot traffic and lighting, so people feel comfortable coming into your store. Make sure your store is equipped with all the ovens and resources you need to produce your cakes at a fast rate while ensuring the quality of everything you make. Finding the perfect location can take some time. But as long as you do it right, you’ll find a great location and that can really boost your business. What equipment do you need to open a cake decorating business? Again, this depends on if you’re working from home or from a store. These are some supplies you may need to start. Planning what you need and where to get it all ahead of time should be part of your plan. This saves you time and money down the road. Between those links, you should have everything you need to get started! Now that you’re ready to start a cake decorating business, it’s time to promote your business. The truth is that without customers, you have no business. So it’s important to make sure people know you’re there. And even more important to reach out to prospective customers. So make sure you have a plan to get your cake business and your products in front of them. According to Pinterest, food and desserts is the number one category shared on social media. So make sure you’re taking clean and clear pictures of your cakes to build your image. And remember to brand your images so people can find you. Pay attention to your Yelp page, as many people search for a company and review ratings before selecting a vendor. Use social media to promote your cake decorating business! Use Facebook and Google for advertising if you’re willing to shell out the funds to run them. Maybe you can start by creating a Facebook page for your business to showcase your sweet creations on. But don’t limit your posts to offers, either. Share suggestions,recipes and videos of how you create your cakes. Either way, you want to have content that people can share. But remember, one of the best ways to get new customers is by word of mouth. So, make sure you’re winning over your customers with great service and quality products. If you’re working from home by yourself, you might not need additional staff yet. But as you grow, you need to have a staffing plan in mind. Figure out how much help you need with your business. Where will you find them? What kind of traits do they need to have? How will you schedule them? When starting a new business, a great resource is friends and family. So reach out to yours for help as you get started. And once you start growing even more, Craigslist and Indeed.com are great hiring channels. As your cake business becomes bigger, you can’t continue to do everything by yourself. If you do, you’ll either slow down to the point that you can’t keep up with demand, losing business. Or your service will be so poor since you’ll be so rushed that you’ll lose business. Regardless, your business can’t grow without help. And it’s important to have a plan to bring on that help. As far as creating a logo and design, if you’re struggling there, a great option is 99designs.com. Designers compete for your money and you have your choice of multiple designers for as little as $99. Your business needs to reflect you and your products and be clear that you serve cake. “Maude’s” may sound classy, but “Maude’s Cakes and Desserts” lets a potential customer know what your business is all about. An accounting plan helps you stick to your budget. If you’re not tracking every cent you spend and bring in, you may miss something and find yourself overdrafting and running out of money. Plus, when tax season rolls around, you’ll be happy you had a plan going for you. Networking is so important to building a successful business. That’s why getting involved in the cake decorating business community is so critical. The International Cake Exploration Society, for example, is a great online community which would let you network with others and learn new tips and techniques to improve your business. On top of that, you can find events and tradeshows around the country to visit. Facebook has a thriving cake decorating culture, so look for groups on there as well as Instagram, Twitter, Pinterest, and even meetup.com for groups you can connect with. You never know where your big break or referral may come from, so make sure to attend events either in person or virtually to benefit your business. Opening (and running) a cake decorating business is a lot of work! I love being my own boss and I love having a business which brightens people’s lives. If this was helpful for you and you want to learn more about opening a cake decorating business, StartupJungle.com has a 21 point checklist for starting your new business. Remember to download your copy if you’re serious about getting started.